Okay, so he wasn’t actually there. 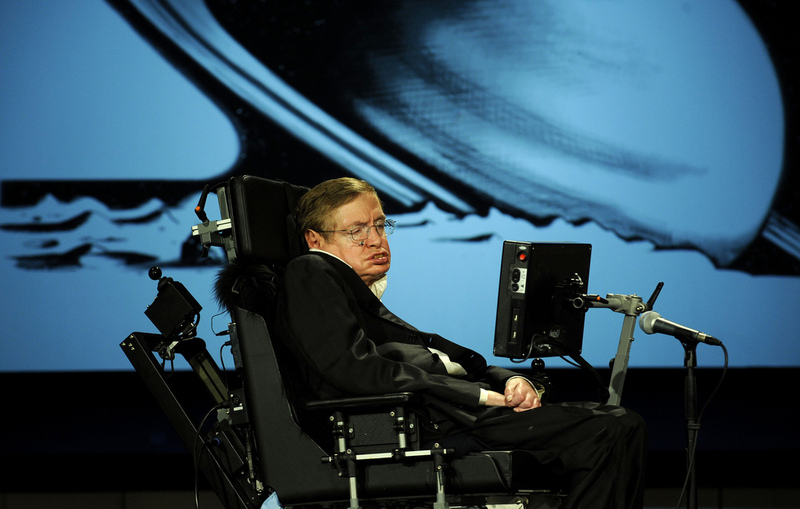 On the stage of the Sydney Opera House, thanks also to the University of New South Wales, was a Cisco telepresence screen featuring a 3D hologram of professor Stephen Hawking. At the age of 73 he is unable to travel for health reasons, and is also pretty busy being the director of research at the Centre for Theoretical Cosmology at the University of Cambridge. However, for all intents and purposes, it was indeed as if he were on stage, addressing an Australian audience for the first time. The 3D illusion was complete from all angles; he could see and hear the audience, and we could see and hear him. Renowned physicist Paul Davies and award-winning science communicator and author Lucy Hawking hosted the event, in person. In a moving talk reflecting on her father’s life, Lucy Hawking touched on the societal perception of disability, as well as reflected on some of the moving moments portrayed in the Theory of Everything biopic, which has recently advanced Hawking’s stardom to new, Hollywood-esque levels. The talk by the professor himself was a reflection on his life and research; he spoke of the progression of our knowledge of the universe from when he started out in Oxford in 1959, to this day, when some of his gambles and predictions have come true, while others have proven false, and more are yet to be determined. An excursion through family history and seminal publications, the talk was entertaining and witty. I have to admit that the physics content was either stuff I already knew about, or beyond what I could understand with my limited background knowledge. But it was fascinating nonetheless. I will not recount it all here, because there is no shortage of books that you could read on the subject, or at least visit Hawking’s official website. And, above all else, remember to look to the stars, and not just at your feet.